We did it last year for the first time. We’re doing it again. Although we’ve decided to offer an even better deal this time around. 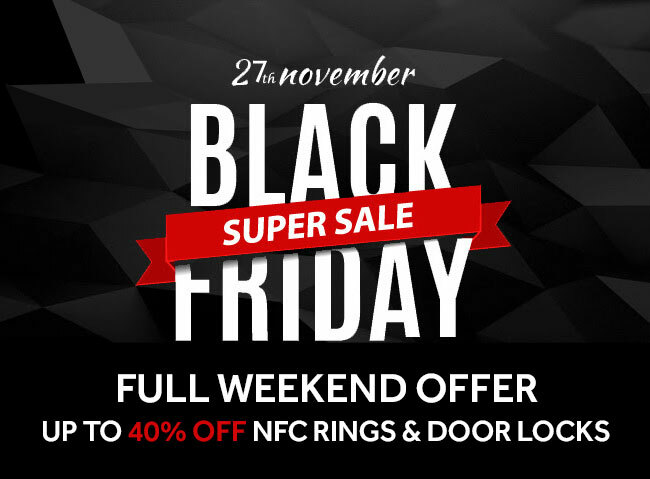 This Black Friday through to Cyber Monday ALL Titanium NFC Rings are 40% off. Our new Ceramic rings aren’t left out either, with 30% off the usual pre-order price – now is the best time to grab yourself some bargain wearable technology. We’ve also dropped the price of the Samsung Digital Door Lock, which is a serious game changer when installed on your home and paired up with your NFC Ring. No more losing/misplacing your keys!